JP's Music Blog: CD Review: Motorhead Celebrates 40 Years With Great New Music From "Bad Magic"
CD Review: Motorhead Celebrates 40 Years With Great New Music From "Bad Magic"
English hard rock band Motorhead are celebrating their 40th anniversary in the music industry with a brand new album entitled "Bad Magic." It was released on CD and vinyl on August 28th through the UDR label. 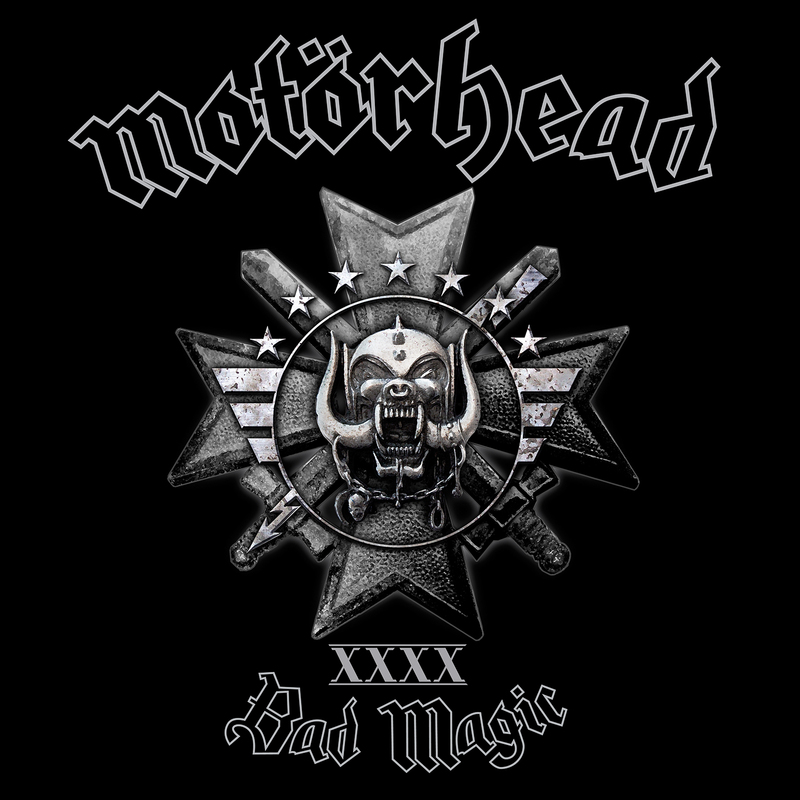 It is the band's 22nd studio album and their 10th with the current trio line-up of Lemmy (bass, vocals), Phil Campbell (guitar) and Mikkey Dee (drums). This latest album also features a rare cover of the Rolling Stones' "Sympathy For The Devil," to which Motorhead turns into a gritty, thunderous end of their latest studio effort. This new thirteen song release does not stray far from the band's current recipe of success as the songs are loud and fast and in your face. Lemmy's battle cry starts things off with "Victory Or Die" as his vocals continue to sound timeless, while Mikkey Dee's drums are the driving force behind the song. The album's first single "Thunder & Lighting" quickens the pace as Phil Campbell rips through an amazing guitar solo. The double-bass drums of "Shoot Out All Of Your Lights" keeps the blood pumping, before Queen guitarist Brian May adds his iconic guitar sound to the all too short solo of "The Devil." The album's second single "Electricity" is a modern metal masterpiece that is one of the best songs on the album. A rare find on a Motorhead album is a ballad as Lemmy reflects on life's choices in "Till The End," but not to worry, the boys coming roaring back with "Tell Me Who To Kill" and "When The Sky Comes Looking For You." Motorhead are currently on tour, but due to Lemmy's health issues, the band has had to cancel recent dates and cut shows short. They will be joining up with Anthrax for an east coast tour, hopefully beginning September 12th. 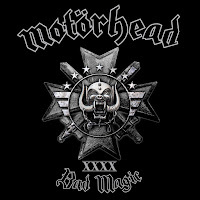 To find out more about the new album "Bad Magic," please visit the Motorhead website at imotorhead.com.